With the unseasonably warm weather during the end of May here in Boston, this take on the overnight oats was a no brainer: peaches and almond. When I was little, the minute peach season rolled around, my mom would serve Almond Peaches for dessert, as a side for dinner, as a snack . . . you get the idea. Why not for breakfast? 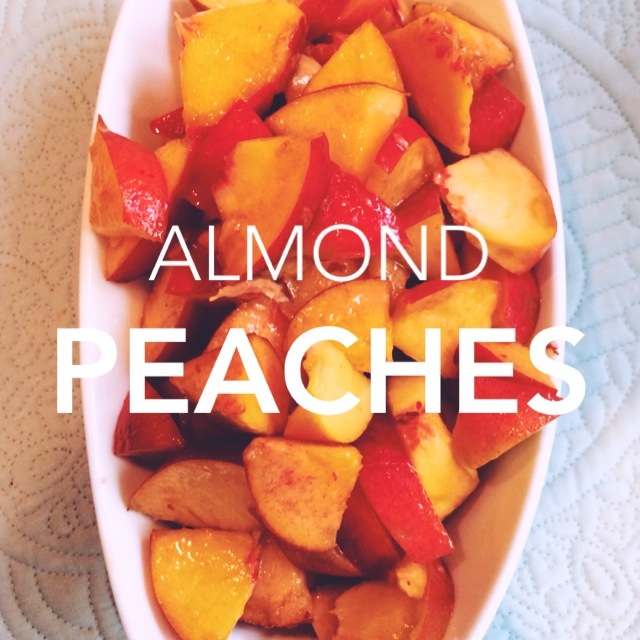 The almond extract perfectly balances with the peaches and almond milk. 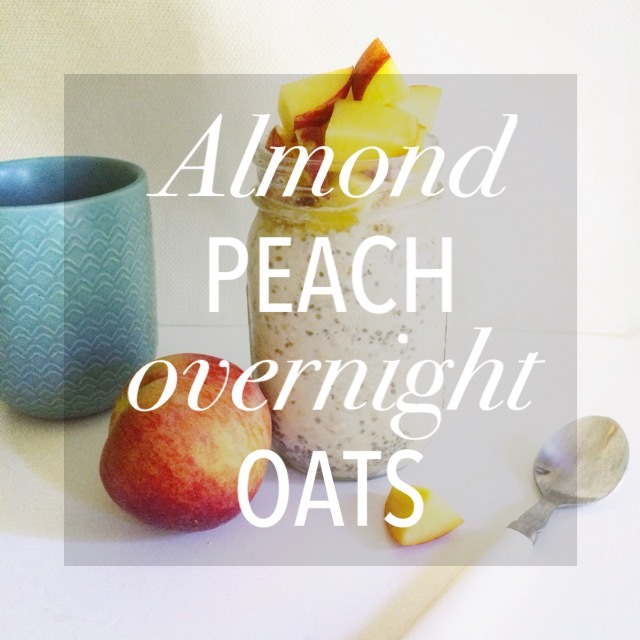 Hence, Almond Peach Overnight Oats were developed. To make it even better, I think i’ll toss in slivered almonds next time I make it for a crunch, but I promise, it’s perfectly balanced as is. I have to admit that I was pretty skeptical about chia seeds. My mom made a chia seed pudding, and it was not something I enjoyed, but these breakfast bowls are delicious. The mashed banana adds its own natural sweetness, as well as a thickness to the breakfast bowl; you won’t even need to add a sweetener. The addition of vanilla extract provides a rich flavor and maximizes the vanilla from the unsweetened vanilla almond milk. The chia seeds are high in protein, fiber, omega-3, calcium, potassium and iron (see more here from the Cleveland Clinic). 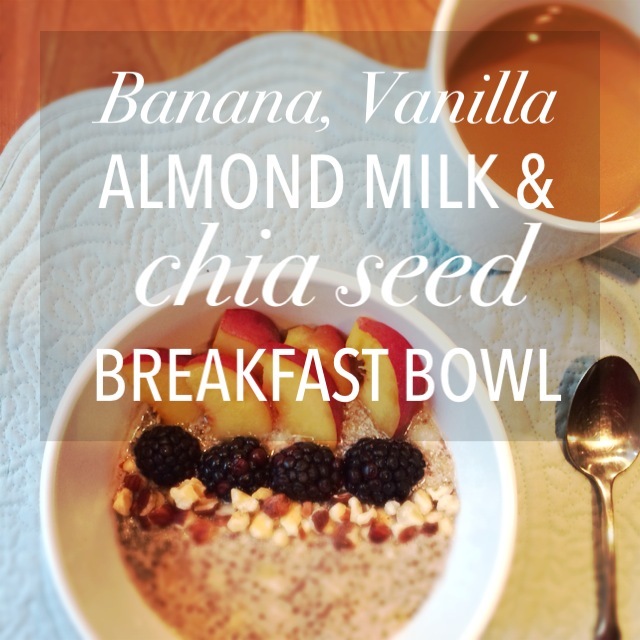 This Chia Seed Breakfast Bowl is especially great because you can make it the night before, literally roll out of bed and viola! breakfast is served. 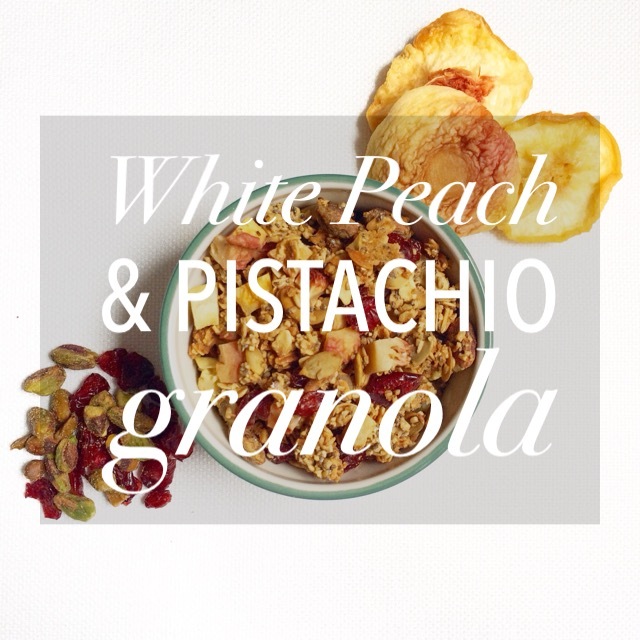 Add fresh fruit and nuts and enjoy a tasty and satisfying breakfast! This is a classic “dessert” at home. (I say “dessert” sparingly because this has been a constant argument between my mom and then me and my dad. She thinks dessert automatically equates with fruit. Not to say it doesn’t at all, but not to the extent to which she so fervently believes.) My grandmother made this for my mom, and now she’s made these Almond Peaches for me for as long as I can remember. It’s perfect as a side, as a snack or even as a dessert. It can even be added to other berries, such as strawberries or blueberries and is even be delicious as a topping for oatmeal, vanilla ice cream or a shortcake. As a topping or a alone, these almond peaches are just a classic, quick and extremely delicious dish to add to your repertoire.